It's true, music fans. After decades of peddling CDs, tapes, videos, DVDs, vinyl records and other merchandise, Natural Sound is going the way of Bow Wow Records (where music was “a man's best friend"). 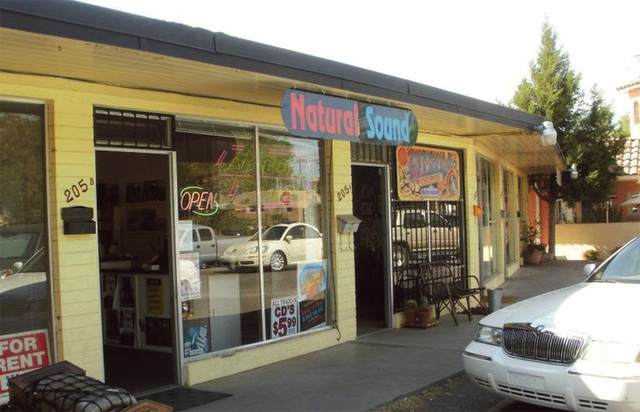 Natural Sound's last day of business is Saturday, Jan. 28. Over the course of five years in the early ’90s, Dr. Rick Strassman dosed 400 volunteers with DMT at the University of New Mexico. He spoke with us about his study, the Old Testament and alien abduction, among other things. Seeking soothing soaks beyond the city limits, our travel writer scouted swanky spas across New Mexico. Bicyclists spoke out about the first-ever bike ban on a 3,000-foot stretch of Chappell between Osuna and Singer. Signs stating "no bicycles" went up in early January. The city says that stretch is too dangerous for cycling. Emily French has been murdered. The rich but lonely 56-year-old was whacked in the back of the head with a blunt object in the living room of her English townhouse. Young, handsome and broke Leonard Vole is suspected, since he only recently befriended Miss French and yet is the sole beneficiary of her will. But then there’s French’s bitter housekeeper to consider and Vole’s calculating foreign wife, Romaine. This is the setup for Agatha Christie’s Witness for the Prosecution, being staged by Albuquerque Little Theatre. Annapurna and Thai Crystal celebrate ten years of dishing. In his first documentary, Friends (With Benefits) writer and director Gorman Bechard takes viewers through a chronological history of Minneapolis/St. Paul-based The Replacements, a post-punk quartet that once made a big splash in a small pond. 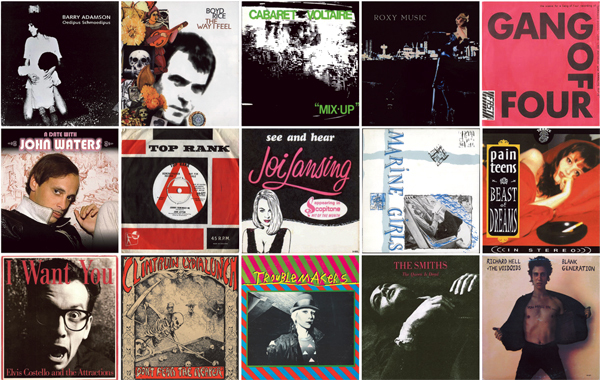 Banding together in 1979, the pioneering alternative rockers lasted through the following decade almost despite themselves. Color Me Obsessed: A Film About the Replacements takes us on a trip down this musical backroad with the friends and fans who love them still serving as tour guides. TV seems to have a very low opinion of us right now. Midseason replacement time is upon us, and we’re being assaulted by the likes of “Work It” (thankfully already canceled) and a sitcom starring Rob Schneider. (Seriously, what did we do to deserve that?) NBC, meanwhile, is making an all-out assault on our collective taste by pairing the execrable “Whitney” with the marginally less execrable “Are You There, Chelsea?” Both shows were no doubt generated at the roundtable of “Chelsea Lately,” the E! Network comedy chat show hosted by Chelsea Handler and frequented by Whitney Cummings. Friends of Film, Video and Arts—the organizers of the fourth annual Laugh Out Loud Friends of Film Funny Film Festival—are looking for laughable local submissions. All works must be 15 minutes or less in length and postmarked by Monday, Jan. 30. It’s only $15 to enter the film of your choice. Winning submissions will be included in not one, but two film festivals: The LOLFFFFF (at Albuquerque’s Guild Cinema on March 31) and the Nickel Independent Film Festival in Canada (in June 2013). Cash prizes and other awards are up for grabs. Derek Caterwaul is a longtime promoter of local, underground culture. He’s a DJ on 89.9 KUNM FM’s “Music to Soothe the Savage Beast,” which airs Tuesday nights from 10 p.m. to 1 a.m., and he has ties to the Mystery Media Free(k) box—formerly in the 200-block Cornell/Stanford alley—and now other free art boxes around town. Caterwaul is also responsible for Low Life, a DJ night at Blackbird Buvette (509 Central NW) that contains the sweet sounds of deep psych, garage, roots, post punk and punk, funk, and obscuro. On Thursday, Jan. 26, Low Life celebrates a one-year anniversary. This free, 21-and-over event includes guest DJs, free mixtapes and CDs, and video projections from Billy Da Bunny. Peer into Caterwaul’s music collection below.